Today was the last nitro race for me of the year. It didn’t go very well. Qualifying was ok, King TQed, Drake was 2nd and I was 3rd, but we were all within about 5 seconds. The track was very tricky, and this time I made the mistakes that I didn’t make last week. Laptimes were good, and I felt good. But then in the main, once again it didn’t work out, but this time I drove really bad. I really sucked in the main. I didn’t get a good pace going at any time. I’m not making excuses, I wasn’t on the pace, but I really need to figure out this racing at night thing. My eyes loose focus on the car, and I find myself losing the car in sections for a fraction of a second, and then I have to “find it” again. It’s really frustrating, I don’t know how to fix that. I’ll do a corner or a jump, and find myself staring at where the car WAS. Anyway, what a terrible race to finish of with. I still finished off 4th, but not the way I wanted to end the year. Drake won from Colin Herzig, and King. Great job Colin! He was dialed all day, finally all that wrenching is paying off, maybe if you practice driving too you will start winning lol. 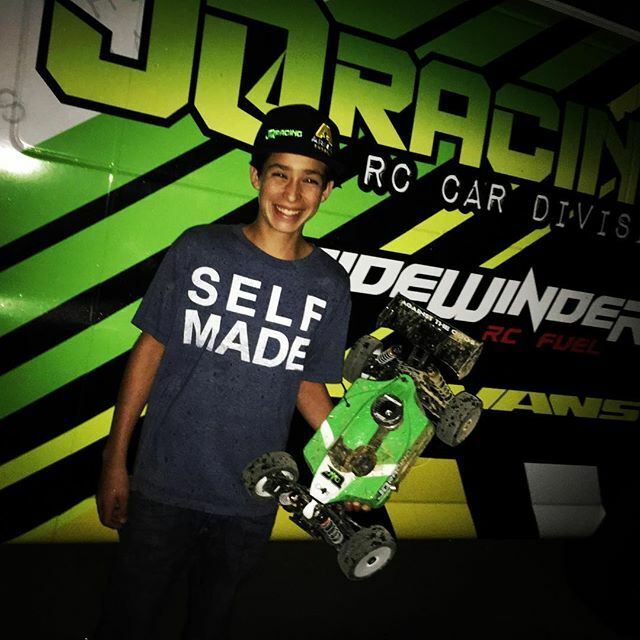 On a good note, Garen Hagobian drove my loaner buggy, which is identical to mine, to TQ and win in the 40+ class. This loaner buggy is an idea which we will continue with in 2017. We will have an extra car at the races for anyone to try (Adam Drake is already on the waiting list (no joke)). We will also have a car available to be shipped out to people for 1 week at a time, just so you can try it out for yourselves. We will require a deposit, but it will only end up costing you the shipping fee, for shipping it back to us. That’s it! 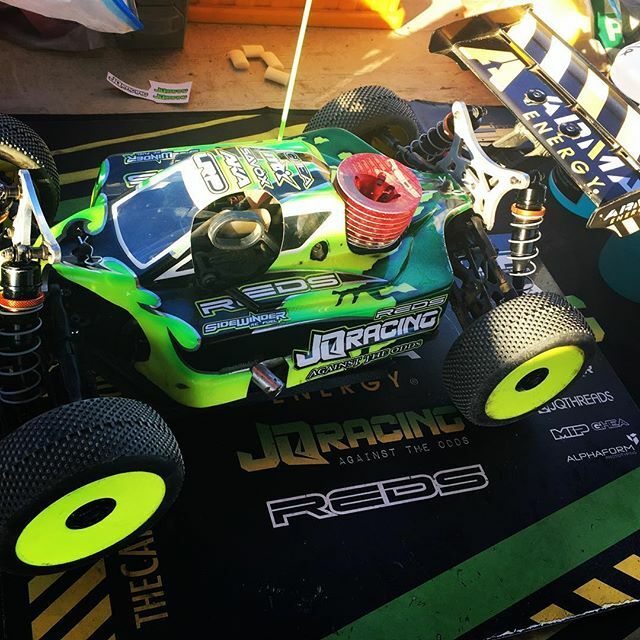 Finally, we got a new junior driver out on track, and looks like he will be sticking with 1:8th nitro for 2017, so that’s good. Always good to get new people into the sport! In other news, rumours surrounding Dave Wentz grow even stronger. 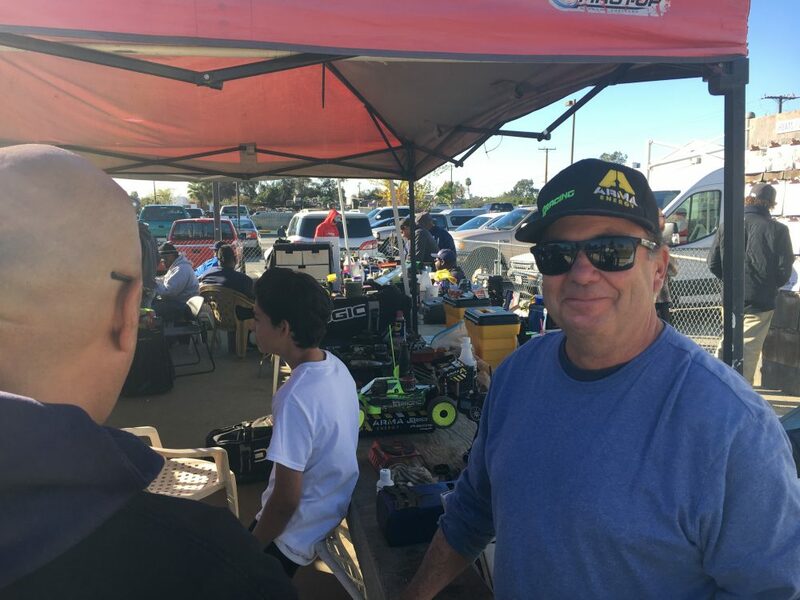 Today Dave was seen sporting a ARMA Energy JQRacing hat, and also incredibly won a motor, pipe, and a new transmitter, perfect for his new JQRacing buggy! As I also need glasses like yourself I would recommend you might want to have your eyesight tested to see if your glasses are still good for you. Eyesight issues in the dark are often caused by a small change of your natural eyesight. Your eyes are than constantly having to correct for that and as the day goes on the muscles used for focusing get tired and you end up with focus issues in the evening.